Overachieving Your Platform: Best of the Water Cooler Series Book #2! Many years ago, a good friend went into a coma after giving birth. She was on life support for nearly four months. We all prayed and wondered if she would pull through to see her baby girl and live a full life. By her side was her husband. Every day he was at the hospital talking with doctors and nurses, making sure medication was properly being administered, asking questions . . . basically, being every doctor’s worst nightmare when it came to patient care. But you know, on several occasions, he insisted on something that actually saved his wife’s life. The third leading cause of death in America is medical care accidents and misdiagnoses. He needed to care for his wife because if he didn’t, the worst could happen. I mention this story because I think it can be illustrative of some of the realities of book publishing today. Sometimes, your book is the one on life support, often from the moment of publication. Standing by are publishers and PR folks who are tasked and paid to keep your book alive. They’re busy, they have other patients (authors), and are generally overworked and understaffed. The point is you cannot leave your book’s marketing and PR ONLY in the hands of publishers. They’ll do their best (usually), but they’re not perfect. And sadly, they have the 80/20 principle that is always screaming at them from the higher-ups. In publishing, it’s true: 80 percent of the money goes to 20 percent of the books. It’s a reality that won’t change, so we have to learn to deal with it. So what should you do, then, as the author standing by your baby, trying to keep it alive? You’ve got to tend to it diligently. With your publisher: ask questions, say thank you a lot (gift cards and flowers are nice) when they do a job well done, give them ideas, don’t mention a problem unless you have a solution, tell them what you’ll do to help, keep track of everyone who helps (radio stations, bloggers, author friends). Work WITH them as much as they will let you. Well, we at the Water Cooler have just released a book that will help answer that question. 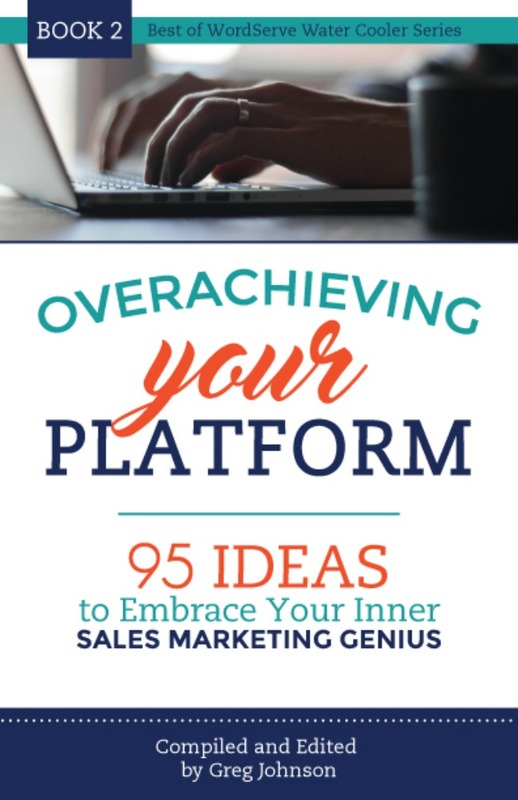 Overachieving Your Platform: 95 Ideas to Embrace Your Inner Sales Marketing Genius is now available from FaithHappenings Publishers, and it offers the tools you need to break out and connect with large audiences. Adapted from the best writing of the WordServe Water Cooler, these doable, practical and affordable ideas will transform your platform and expand your audience if you put them into practice. No, you can’t do them all. But you can certainly go through this book with your highlighter and mark everything you actually could do. Then make a plan. What will you do during your first month from publication, second month, third? Write the plan out . . . and then work it. Publishers, agents, and retailers agree: you’re only as good as your last book. So if your last book flops in the marketplace, it may very well indeed be your last book! Don’t let that happen. Stay on guard by your book for the first six months to a year after launch, and you’re far more likely to get that second book contract. You may even get a royalty check. I’m so proud of all of the authors who contributed to Overachieving Your Platform. They’ve done the hard work in the trenches and have learned from their successes and failures. All they know they’ve shared with you. Grab a copy today—and take that first step toward creating a platform and brand that will serve you for the rest of your writing career. 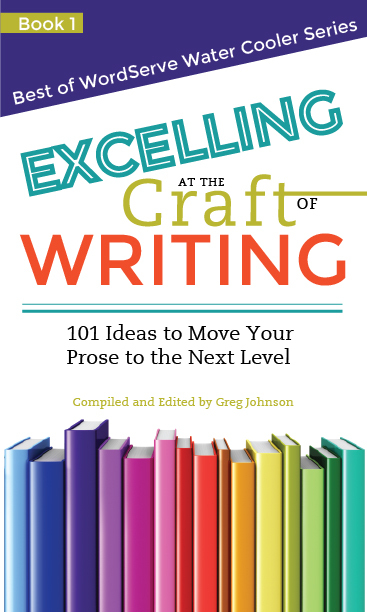 And if you haven’t checked out the first book in the series, Excelling at the Craft of Writing: 101 Ways to Move Your Prose to the Next Level, make sure to do that as well. Craft and marketing go hand in hand when it comes to a writing career—you won’t find success unless you’ve got both! This post was adapted from the Introduction of Overachieving Your Platform: 95 Ideas to Embrace Your Inner Sales Marketing Genius (available now!). I ‘m an odd duck. I’m one of those writers who, while I love crafting words to make a story, also have this strange love of all things numbers. About 90% of you just had an icky shudder run down your spine. I was chatting on the ride home from ACFW a month ago with Carol Award winner Patrick Carr. Patrick is a fellow numbers lover, a math teacher by day and former engineer. In our chat, I finally found someone who does the same thing I do — follow the numbers! Granted, the numbers can royally stink. I’ve known a lot of authors who purposely do NOT look at their sales numbers or Amazon rankings because it is depressing. I get this. Oh BELIEVE me, do I get this. But the thing is, there can be power in numbers if you use them correctly and don’t overly obsess. Any savvy business person knows the key numbers of his business off the top of his head. In a previous career, I was a corporate payroll manager for a billion dollar company. (Yes, I knew their annual sales numbers…). One thing our executives required was that all corporate managers know their numbers. At any time, I needed to be able to spout off total annual payroll dollars, number of employees (and by company too, as we had 16 of them…), and a host of other metrics related to my department. The point was to be an expert on your area of influence, and an expert knows their numbers. Numbers matter. They tell us a host of facts and help us make wise, educated business decisions. 1.) Profit and Loss. Basic accounting here. Income minus expenses = profit. If that number is a negative, it’s a loss. If you’re operating at a loss, two things to do: Increase income and/or decrease expenses. I suspect many of us operate at a “loss” for the first few years. It’s our start-up cost, if you will. But keeping an eye on profit and making sure you’re not overspending is a sign of a good business-savvy writer. Don’t wait until the end of the year when you do your taxes. At least once a quarter, do the math. Make a plan for the next month. You’ll be more fiscally responsible for it. 2.) Trends. I tread lightly here. Paying TOO much attention to trends (i.e. checking our Amazon Sales ranking on a daily or *ahem* hourly basis, not that I would EVER do that…) can be counterproductive, because you waste WAY more time than it’s worth. But following trends, especially after particular marketing events you’ve done, is super useful. You can get an idea of the value of your marketing dollars, whether spending $X amount of money for an ad on that blog was worth it or not-so-much. I’ll be the first to say, I am a firm believer that marketing value is about more than the immediate hard-dollar sales impact. It’s about building your brand and getting your name out there, and a GOOD marketing campaign will have worth beyond anything you can see on immediate sales trends. BUT! If you have little or no impact on the short-term, chances are you’ll have little or no impact on the long term either. So check those numbers, know what they mean, know what your “normal” is. Then use that information when formulating your marketing plan. 3.) Goals. In the accounting world, you have “sales budgets” but in the writing world, I call these sales goals. What numbers do I WANT to hit and NEED to hit? Personally, I usually set my goal number really high, but not so high it’s unattainable. Mostly because for ME, I like to hit goals. I don’t always do it, but if I have a good, high goal, some internal oomph in me says, “Hey, I’m lagging, I need to step it up!” Other people need smaller goals, and that’s good too. Set that goal, and when you achieve it, set a higher one. Regardless your method, set sales goals and work to achieve them. 5.) Your agent’s phone number. Just sayin’. 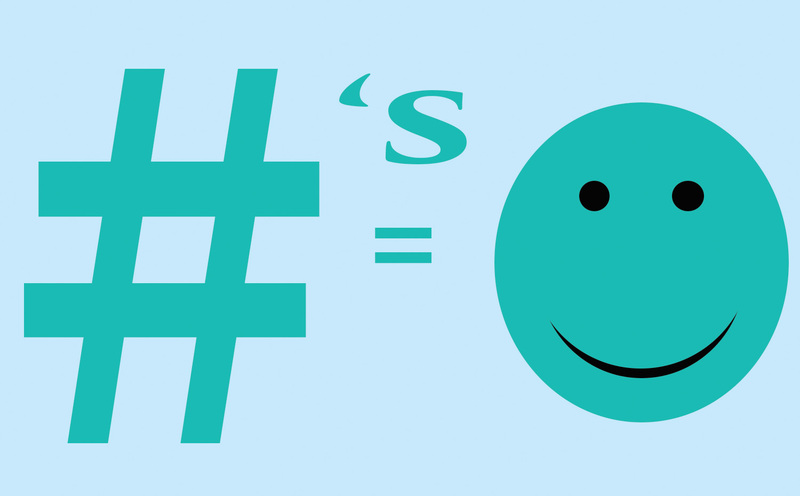 It’s a nice number to have for when you get overwhelmed at the numbers and need to be talked off of the ledge! (Not that I’d ever do that to Sarah…) Oh, and your accountant’s phone number would be helpful too if you have a little tic in your neck after reading all this! A few numbers to not worry about…. – Hourly rate. I’ve known a few people who log their writing hours and then once they are published, calculate out how much they “made” per hour on that book. My advice: Don’t do it. If your sales numbers don’t depress you, THIS number surely will! It has no intrinsic value, because it’s hypothesizing that you wouldn’t have written those same hours at a rate of zero. And let’s face it: We probably still would have. -Nitty-gritty details. Number of blog comments per year, number of Facebook likes on comments, number of tweets, number of gross sales vs net sales (really, you only care about the net). So borrow from the Bible… Meaningless, meaningless, they are all meaningless. Only spend your time on the numbers that have value in knowing them. Let’s chat: How you do look at your numbers? 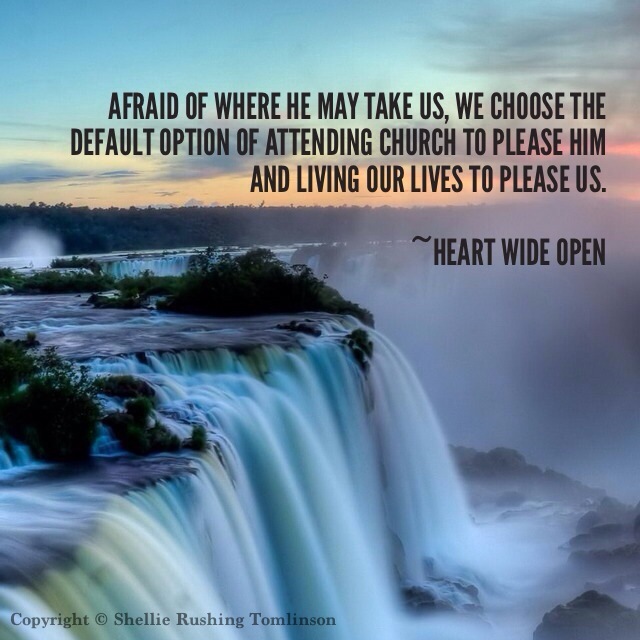 Do you study them or just leave them alone, figuring they are what they are? Any interesting ways you’ve put your numbers to work for you and used them? Raise you hand if you just love marketing and you can’t wait to get started promoting that book, blog post, or magazine article you’ve written? Well, raise your hand if you would like that book, blog post, or magazine article you’ve worked so hard on to find its way in front of real life readers? It’s that perspective thing again. Like so many of my author friends, I dislike the “look at me” aspect of marketing my own work. I feel like the youngest of three little girls vying for my parent’s attention at the annual elementary school open house. That may have been TMI–too much information. Y’all probably don’t say that anymore, do you? Forgive my outdated references. I’m never using the cool phrases at the right time. Ask my kids. But we were talking about our love/hate relationship with marketing and I wanted to let you in on one of my game plans. I read an article recently that gave some startling statistics on comparative “face time” our messages are given on the various social media platforms. Of course, I can’t find that piece again because I had fallen down an Internet rabbit hole and have no idea how I got there or how I climbed out. You’ll have to trust me: The amount of time a reader’s eyes “paused” on an image (and shared it!) just slayed the time the same reader spent on mere text. Poor little words. (I love you, words!) Words are my life, too, y’all, but we need to be wise about using other media to get them some face time, which we hope will translate into sales, shares, and retweets, right? Right. A few simple apps on our smart phones will help. 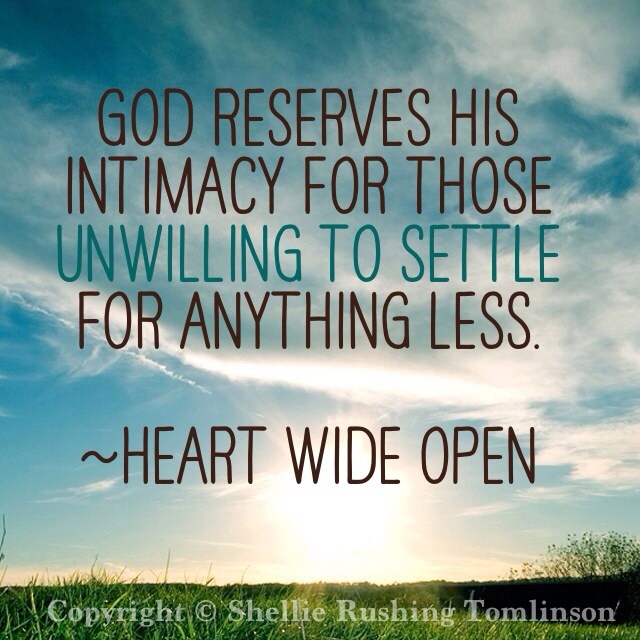 I’ve used InstaQuote to show you a few examples of what I’ll be doing when my next book releases. 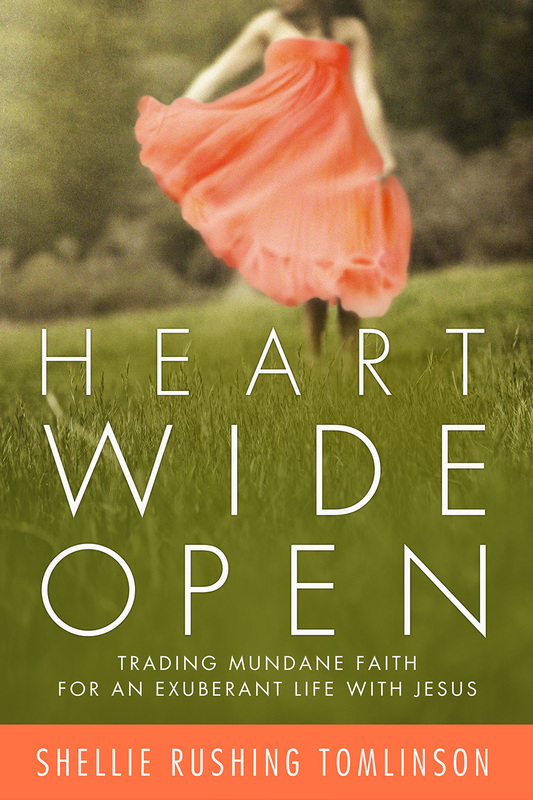 I would stop here and tell you about Heart Wide Open and how it will be in a store near you March 18th, 2014, but this is not the time or the place. Along with InstaQuote, I used PhotoMarkr to add a copyright to my images before posting them on Instagram. Now, seeing as my Instagram is connected to my Twitter, which is connected to my Facebook, which is connected to my hip bone…wait, too far, again. The point–one share hits all of my platforms. And since I composed the text so it just happens to fall into Twitter’s 140-character count (Oh, the thinks we can think!) I can post the full text in Instagram’s status box and Twitter will get the quote. Then, if interested, Twitter friends can hit the link and see the Instagram image. 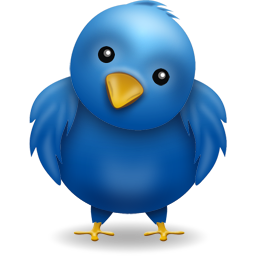 My intention is to create a file folder of these tweetables and the images in my spare time. (Insert maniacal laughter at the mention of spare time.) Seriously, it only takes a moment to make these images. I made these three in about ten minutes. As the release nears, I’ll share these with the publicity team at my publishing house and with anyone else who has agreed to act as an influencer. We’re done here! I hope I’ve given you a marketing idea that you can build on without running into the streets crying. I’ve tried that, y’all, and it doesn’t do a thing for sales. Crowdfunding: Is It a Writer’s New Marketing Tool? I’m pleased to host author Ken Gire who stops by to share a little about Crowdfunding and his current project. With the technological, social, and demographic upheavals that have happened within the publishing landscape over the last decade, many writers have found themselves having to get more involved with things that most writers hate—sales and marketing. My last book sold under 500 copies, and that experience was so discouraging I felt like giving up writing entirely. Faced with fewer and fewer bookstores to sell our books, and smaller and smaller advances to fund the writing, what’s a writer to do? There’s not a lot of options, honestly, but here are a few. Crowdfunding is growing in popularity, and, though it has had its share of failures, it has had its share of successes, too. Numerous sites have sprung up. Kickstarter and Indiegogo are the two most popular. And there are faith-based crowdfunding platforms you can google. They are newer, less successful, and generally the funding is lower. Here’s a sample of an almost unheard-of success in publishing with one of Seth Godin’s books. I had been following Seth’s TED talks for some time, so his campaign really intrigued me. When I looked at the numbers, I had to do a double-take. Who needs that kind of money to write a book? I wondered. Then I realized what he was doing. He wasn’t trying to get an advance; he was trying to generate pre-sales. And he did that through the platform of crowdfunding. Seth is an internationally-known marketing guru, and so he probably shouldn’t be used as a poster child for crowdfunding, but I used him anyway to show the possibilities. Well, the long and short of it is . . . I decided to try it. Though I am not the least bit tech-savy, I managed to do it all myself, with the exception of the video. I found someone on Elance who did that for me fairly cheaply. I also thought it would be helpful for those involved in the campaign if I gave regular updates on the progress I was making on writing my book. I remembered reading Steinbeck’s, Working Days, a journal he kept while writing Grapes of Wrath, and I remember how much I enjoyed it. So I decided to write a blog (Centurion) aimed at aspiring writers so they could see what the process of writing a novel was like. The daily posts have been really fun for me, a nice break from my writing, and also a creative outlet to try to find things on the internet that would help illustrate my blogs. Maybe we, as writers, can help each other through this difficult transition in publishing by helping to fund each other’s campaigns. I’m sure mine won’t be anywhere as successful as Seth Godin’s. But it doesn’t have to be. If just 10% as successful, it would be a game-changing experience for me and my career. Here is my crowdfunding campaign that I hope you will check out. Check out this post for more information on these type of fundraisers. There are only two weeks to go, and my campaign is only 10% funded. For perks, I am offering everything from signed books to services such as personal mentoring to public speaking. I appreciate you all taking the time to consider being a part of this. Truly. What do you think of crowdfunding? Would you ever consider doing it as an author to raise money for a book project? Why or why not? Ken Gire is the author of more than 20 books, including The Divine Embrace, Windows of the Soul, The Work of His Hands, the Moments with the Savior series, and the Reflective Living series. Two of his books have been awarded a Gold Medallion. A full-time writer and speaker, Ken is the founder of Reflective Living, a nonprofit ministry devoted to helping people learn how to slow down and live more reflective lives so they can experience life more deeply, especially life with God and other people. Ken is a graduate of Texas Christian University and Dallas Theological Seminary. He has four children and three grandchildren and lives in Baltimore, Maryland.